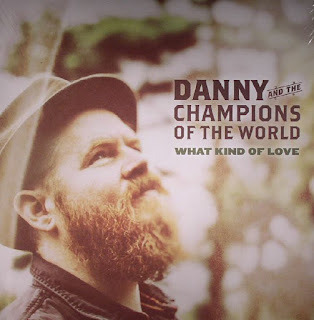 So now we know, STAY TRUE was only the tip of the iceberg as Danny and the Champions of the World unleash another barrage of country soul with emphasis being explicitly on the latter with a capital ‘S’. 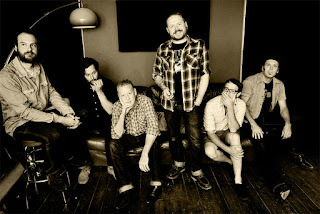 If Danny played his first hand in 2013 with the highly acclaimed above mentioned album, then the raise came from trumping records by Shinyribs, The Delines and Frazey Ford in 2014. However the South London fluid and extensive combo were certainly holding an ace up their sleeve and a renewed high has been set with the new album WHAT KIND OF LOVE. For that near optimum playing time of 41 minutes, the lavish splashing of steel, sax and strings spins into a sensational sound destined to get every muscle in your body at least manoeuvring a touch. Riddled with heavy brass, riveting riffs and Danny’s unmistakable yearning vocals, this record has stretched the recent Champs back catalogue and put the band on a highly explicit track. Maybe the natural audience for the record are more akin to timid shuffling rather than frenetic dancefloor activity, but the ten tracks are right on the energetic mark to inject life into any venue introvert. This inevitably leads onto the salivating prospect of listening to the tracks live, obviously interspersed with the old Champs favourites. If the claim ‘the best live band around’ is to be lived up to then the cupboard of scintillating stage songs is stocked to the rafters. Rather than going into great detail about each song on the album, the advice from these quarters is to access Danny’s thoughts on each track as posted on The Line of Best Fit site. Far from him advocating songs one to ten as great pieces of work and must buys (most reviews will do that), the background, inspiration and evolvement will breathe total life into the album. You will also get the most vivid insight possible, be totally absorbed by his influences, genuine honesty and the sheer passion evoked by an artist following their pure instinct. On the other hand, if you just prefer a rollicking good listen to a sound merging the fine artistic traits of soul, funk, rock and country in the guise of pedal steel, saturating your senses with his album in its entirety is a lock in. Perhaps the most revealing aspect of Danny’s enthusiastic commentary is the influx of collaboration on the album and this is most marked on the backing vocals adorning a number of the tracks, as you would expect on any golden soulful combination. Another key reason for the intrinsic allure of this record is the carefully judged pace which explodes in the early bars of the opening signature track ‘Clear Water’ and rarely eases until the fading, reflective tones of closer ‘Sound of the Train’ drift into a distant ether. While genre detection, even in its multiple formats, is not too tricky on this album, the malleable base to the sound allows for a heady mix to flourish. The hooks are profound and effective with a vice-like grip ensuring every second of this outstanding collection is savoured. Danny and the Champions of the World is a band on a mission and WHAT KIND OF LOVE is their boldest statement yet. A brash brilliant British contemporary country, rock n’ soul record is tough to find these days, but Danny George Wilson and his band of brothers have gone a long way to fill the void.